This is definitely a year of increase for me in terms of meals and I’m not even talking about eating more. Yes, the portions have increased but it’s only because I’ve progressed from just cooking lunch to cooking both lunch and dinner every weekday now. Well, that explains the absence of posts because I’ve really been busy trying to have everything down pat since the beginning of the year. But seriously, this whole meal planning process took a bit of time and it’s only because I’ve had to ensure that the meals are easy to prep and at the same time, appetizing enough for my son. He doesn’t quite have a taste for certain food we like and since I’m not in favor of starving him, I chose to adjust my menu. But thank goodness he’s into soups and so that took a lot of headache in terms of planning the dinners. Anyway, since I’ve put so much effort in my meal planning and preparation, I thought I might as well make the most out of it by blogging about some of my time-saving meal preparation tips. But perhaps more importantly, I want to show you that you can cook and eat healthier meals even if you don’t think you have the time. In fact, I’ve chalked up more hours cooking now that I work 8 hours a day, 5 days a week than I’ve ever before. If you want to cook your meals without hassle, you’ll need some sort of planning. I suppose some people need to be precise but for me, I just need to have some ideas of what I can cook for lunch and dinner. Then every week, I put them down into a menu using my Evernote just so I’ll remember what to buy during my grocery shopping. Instead of trying to prepare everything in the morning, I’ve learned to prepare my ingredients either the night before or during the weekends. Say if I wanted soup for dinner, I’ll have all the ingredients washed and thawed the night before and leave them to chill in the fridge. I’ll even wash the pots and fill up the water so that all I need to do is to turn on the electricity or stove in the morning. If I was preparing pasta, I’ll have the meat and veggies diced the night before. And for ingredients that I use daily like garlic, I actually prep a batch of minced garlic over the weekend using a handheld dicer and then storing them in a bottle soaked in olive oil (they’re good for a week in the fridge). I love slow cookers. I have three of them at home, of varying sizes. The beauty of slow cookers is in their ability to cook my meal even when I’m not at home. How awesome is that? By the way, slow cookers are known as Crock-Pot in US (Crock-Pot is really a brand). So how do I use my slow cooker? Well, until I collect more recipes, I use mine for soups at the moment. We like to drink herbal soups and so twice a week, I make different herbal soups either with chicken or pork meat using a slow cooker. Just dump everything into the pot in the morning, set the cooker on auto and by evening, we have a delicious pot of soup ready for dinner. To save time, I’ll prepare whatever I can the night before so that I don’t get caught up in a mad rush in the morning. 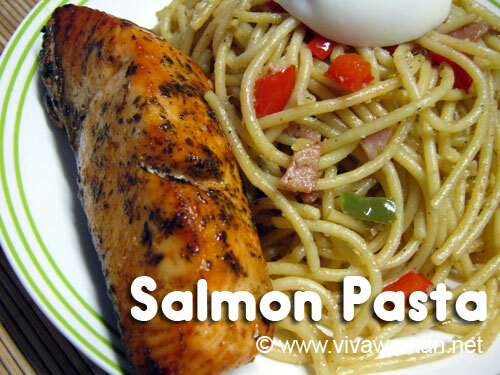 Some of the food can also be prepared and frozen ahead. I’ve seen people preparing their entire week of meals (cooked or uncooked) and freezing them in ziploc bags on various social media. 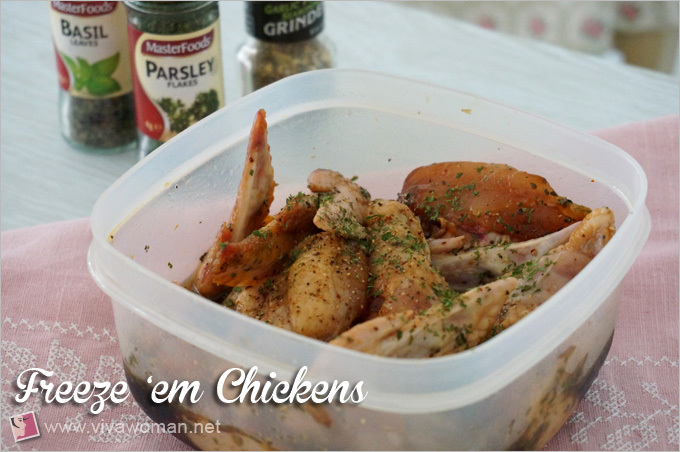 The idea was a little alien to me initially (think freezing veggie) but I gradually warmed up to it and began freezing marinated chicken wings that I prepared over the weekend. These are to be baked for dinner and so I have to remember to remove them from the freezer and leave them in the lower fridge compartment in the morning so that they can thaw in time for baking during the evening. I’ve also started preparing a batch of chicken stock over the weekend with the slow cooker and freezing the stock in smaller containers that I can use to cook my meals. I admit it’s a bit of a work but it’s really worth the effort as the stock just makes every dish tastier. I must look like I’m promoting Masterfoods or McCormick. Well, maybe I am. But my point is, these make flavoring my food so effortlessly easy that cooking has become a no-brainer. I guess some people prefer fresh herbs but these are good enough for me. 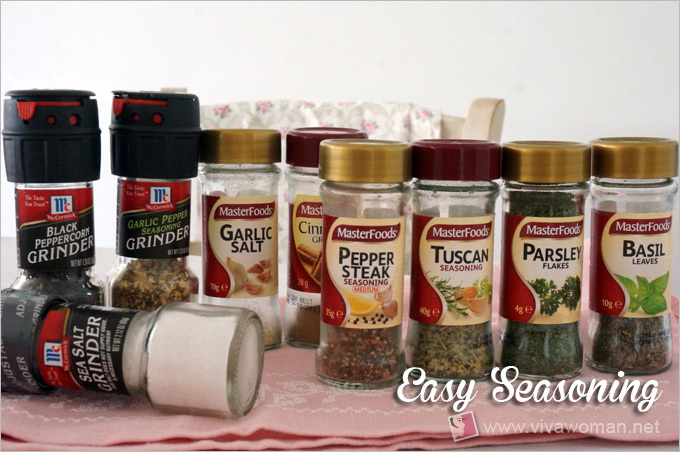 My favorite is the Tuscan seasoning as it’s great for baking fish or roasting veggies. 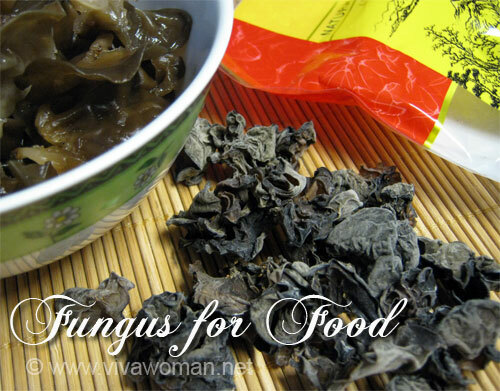 In fact, it’s great for just about anything–pasta, quinoa, fried rice, marinates–the possibilities are up to you. All it takes is a sprinkle and your meal will be ready in no time! Easy peasy. I’m no culinary expert and my meals are pretty ordinary but the whole idea is to be able to cook a simple meal at the drop of a hat (or maybe two hats). I suppose seasoned cooks have better tips but hey, I don’t spend my entire time cooking and these work for me. What I’m trying to share is that IT IS POSSIBLE to cook meals even when you’re working full-time. Maybe not every day, but how about twice or thrice a week? So here’s a tip for those who want to cook their own meals but find the whole planning and preparation daunting. START SMALL. Start by cooking one meal, once a day. Use some of the tips I’ve shared–prepare what you can during the weekend or the night before. It’s not difficult. There is always a resistance but get over it. 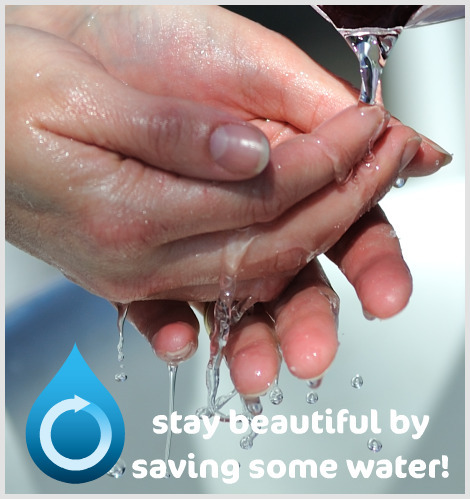 Think of your opportunity to slurp up healthy, home-cooked food! And after you’ve had the satisfaction of preparing one meal, you’ll find the motivation to progress to more meals. Just do it! Anyway, as I was preparing this post, I remember I’d made a resolution about two years back that I wanted to cook more and I realized I’m now living it. What I didn’t share was that I had prayed about it too. Looking back, it didn’t happen immediately but it did happen. God placed the desire in me and He enabled me. For someone with very little interest to cook, this is a feat! So I say HALLELUJAH! Thank You, Jesus! He has filled my mouth with good things! Already cooking? 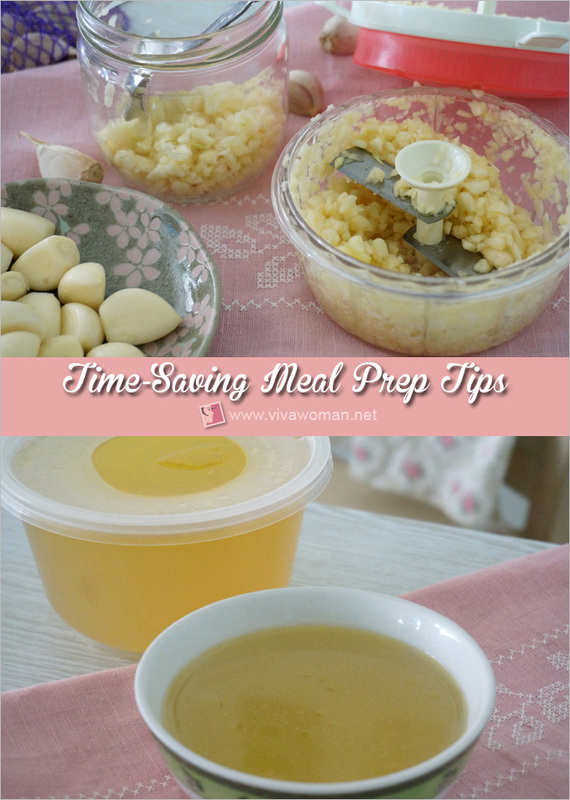 Share your meal preparation time-saving tips! I really did not understand what a slow cooker is till date but i keep my veggies cut and prepared, ready to throw into the pan and i like to mince my garlic and ginger together so that ginger garlic paste is available all time! I also keep my garlic cloves and ginger peeled off so I can grate them when needed. my mum also keep tomato puree at hand!! swati last post is: Blogging Series Vol. 19 – Blogging Goals for #2015!! Oh garlic and ginger! Sounds like a nice combi for a sauce that we use for chicken rice here! 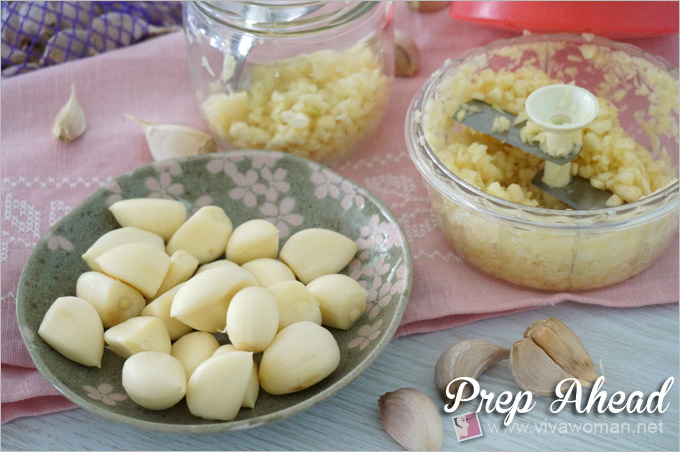 I like your idea of keeping garlic cloves off so that it can be used when needed. I hardly use ginger these days though. This was a great post Sesame! 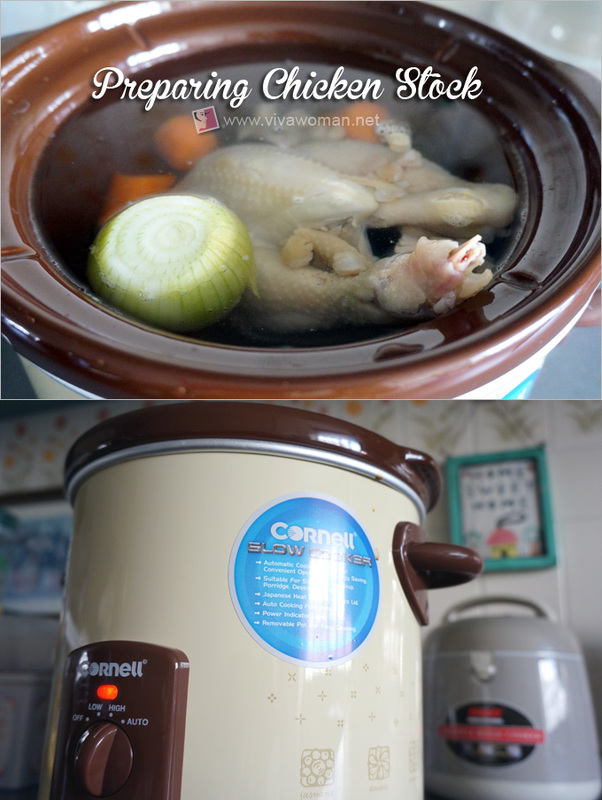 I don’t use my slow cooker enough and your post is a timely reminder to do so. Coincidentally, I also stumbled upon a blog called Trim Healthy Mama with loads of slow cooker recipes that you prep over the weekend and store in ziplock bags until you are ready to throw it into the cooker. Perhaps you can check them out.